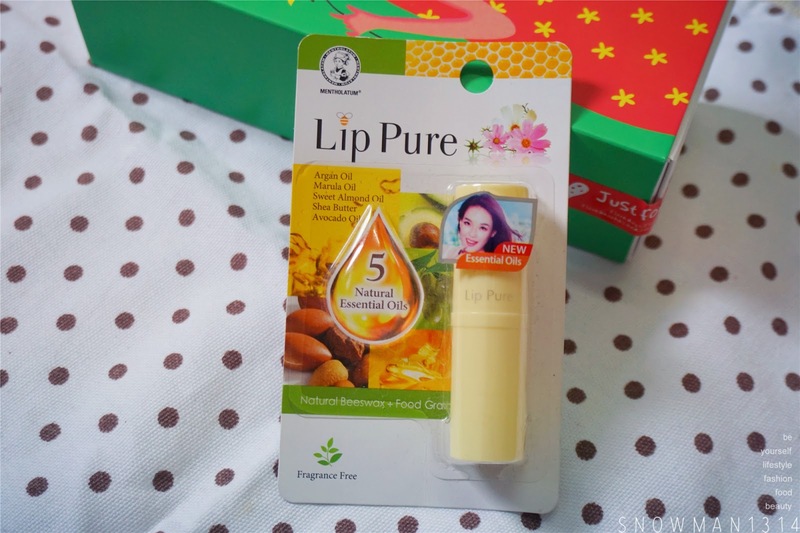 Today will be blogging about this one stick Lip Pure Boosts Lip Moisture with 5 Natural Essential Oils, 3 Types of Honey Extracts plus Plant Extracts. 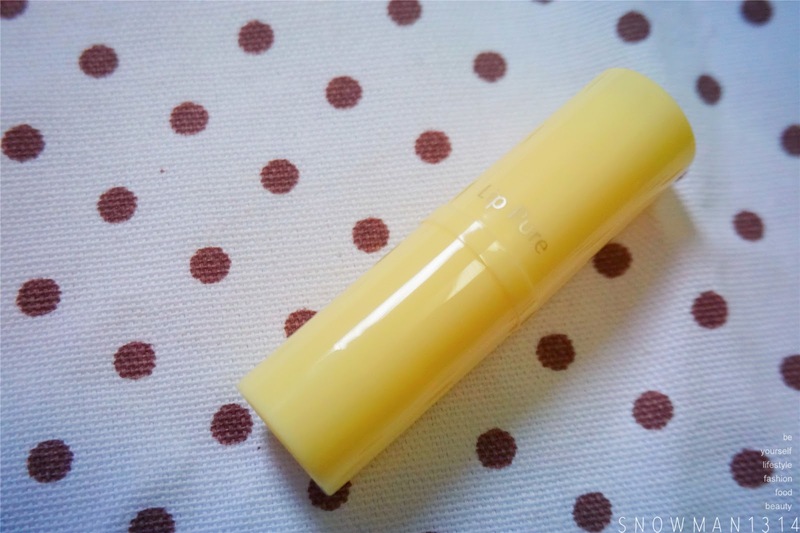 Are you a lip balm lover? Suffer from crack and dry lips all the time? But still, whenever you apply lip balm, is still don't have any improvement? 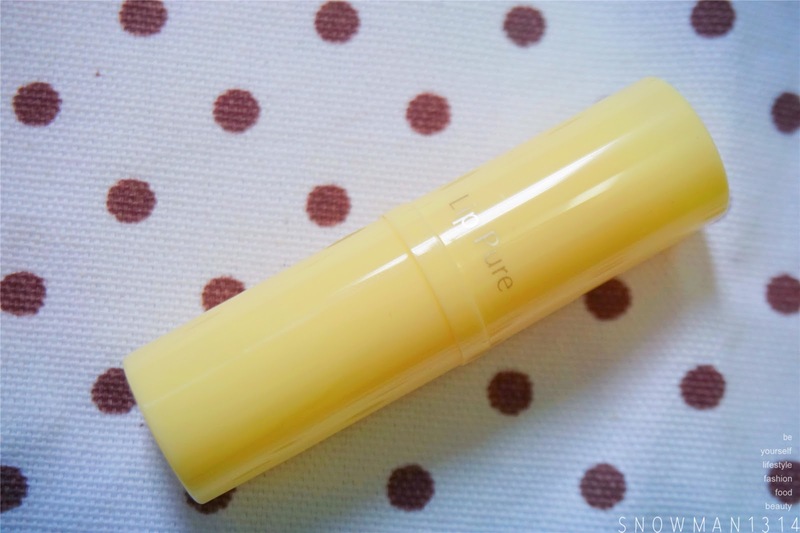 Today I will be sharing a small wonder lip balm that you will definitely need it! 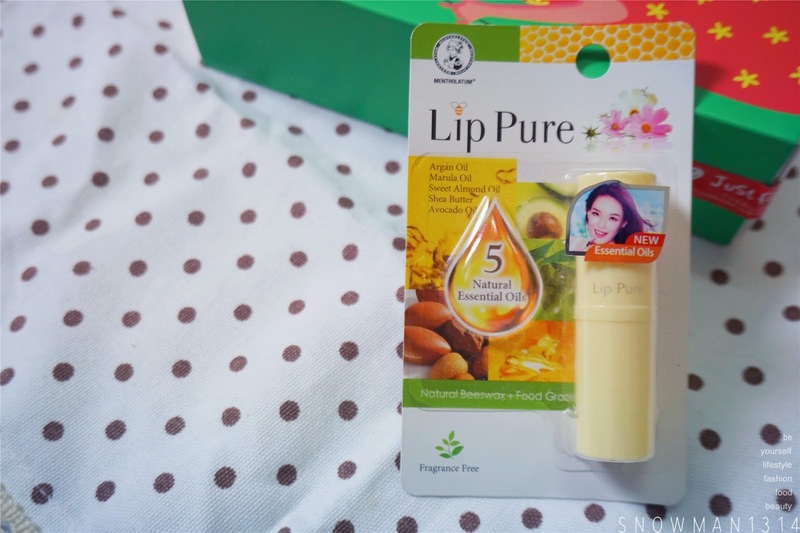 Formulated with FOOD GRADE ingredients, 5 types of ESSENTIAL OILS, 3 types of HONEY EXTRACTS and PLANT EXTRACTS - be rest assured Lip Pure has the best natural and safe ingredients to nourish your lips for smoother, softer lips with its long-lasting moisturizing effect. 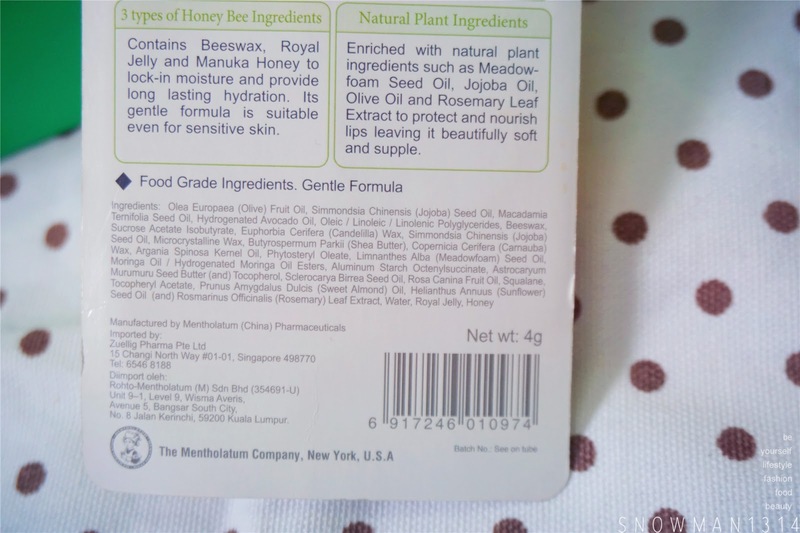 Mentholatum's latest Lip Pure Essential Oil lip balm boasts only pure natural food grade ingredients in its formulation which make it excellent even for those with sensitive lips as it is also fragrance-free. 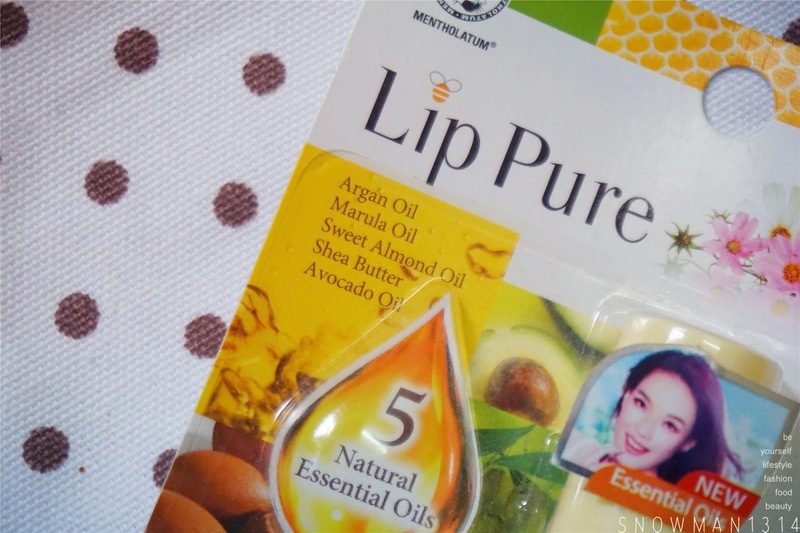 With a blend of 5 types of Natural Essential Oils namely Argan Oil, Marula Oil, Sweet Almond Oil, Shea Butter, and Avocado Oil, the moisturizing and nourishing properties of these oils produce beautifully soft, smooth and supple lips. 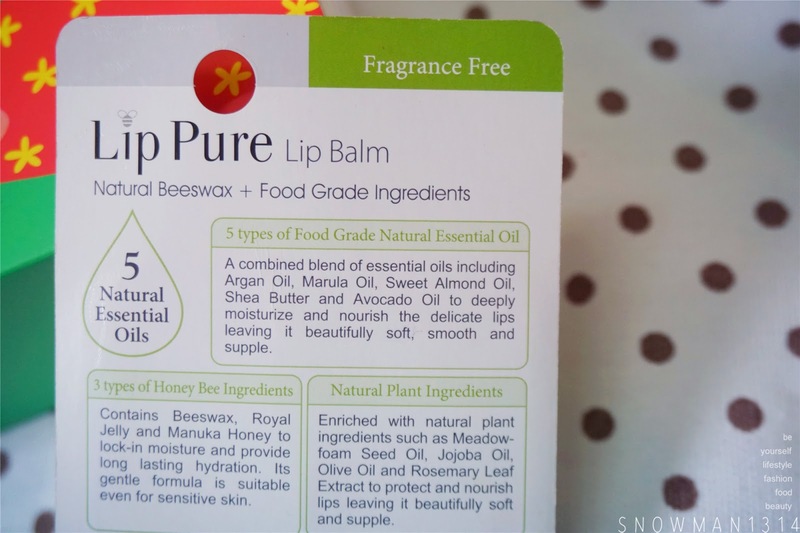 Enhanced with New Zealand Honey Bee ingredients that are natural and unpolluted, Lip Pure delivers unsurpassed properties of Beeswax, Royal Jelly and Manuka Honey to the skin. Packaging wise says it all. Formulate with 5 Natural Essential Oil which is natural and organics. It does not harm our skin instead moisture and protects our lips from any harsh pollutants and radicals. Comes in Pastel Yellow packaging which considers a really simple and easy to bring packaging as a lip balm. 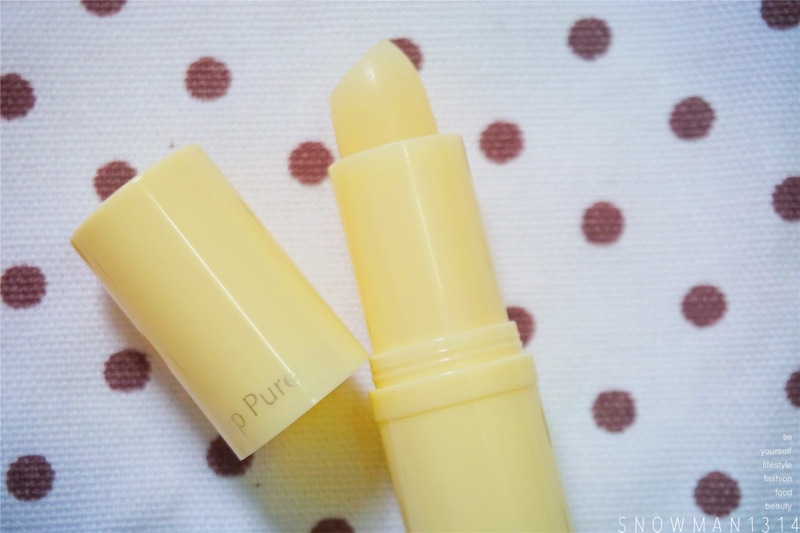 The lip balm in pastel pale yellow swipe as well. It was colorless and fragrances free too. Before applying. Dry lips as usual. To top it off, natural plant ingredients such as Meadowfoam Seed Oil, Jojoba Oil, and Rosemary Leaf Extract are added into the formulation to protect the skin from aging, smoothes dry lips while functioning as lips softener and moisturizer. Vitamin E is another important anti-oxidant element in its formulation that protects skin from damage caused by free radicals. 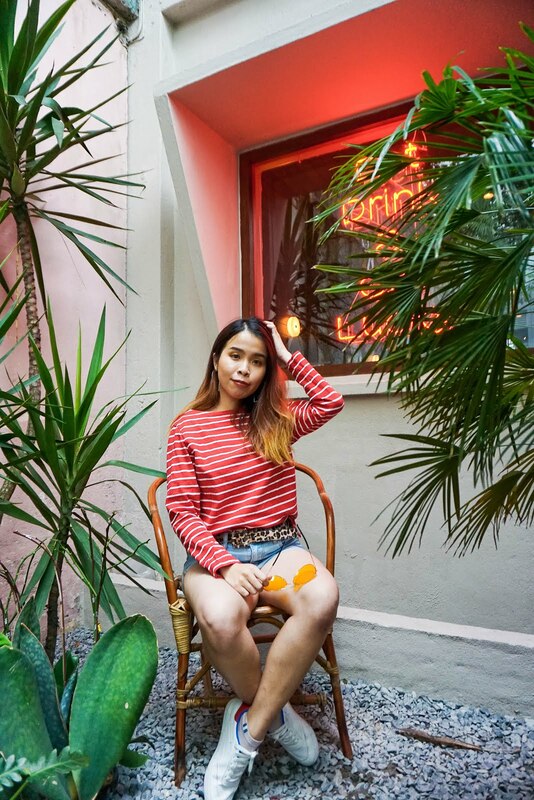 Honey is also one of the key ingredients in this formulation as it is a natural humectant that ensures moisture is retained in the layers of the skin for lasting hydration. One swipe of this colorless lip balm is all you need to rejuvenate your lips from the harsh weather and pollution. The Lip Pure Lip Balm is already available at all leading pharmacies and major supermarket outlets at RM17.90 (4g). I love lip balm, especially those with colour and taste like fruits. HAHAHA This is a good one from you. Once again, thanks for your recommendation. Im convinced! I personally use it a night before using matte lipstick the next day. it prevents my lips from cracking. Go and check it out yo!! I like this brand lip balm, its good and price is reasonable as well. glad it helps your daughter cracked lips!! I would love to try this since my lips are dry all the time. Will definitely check this out in stores. Thanks for sharing!